Superbly restored villa with pool. 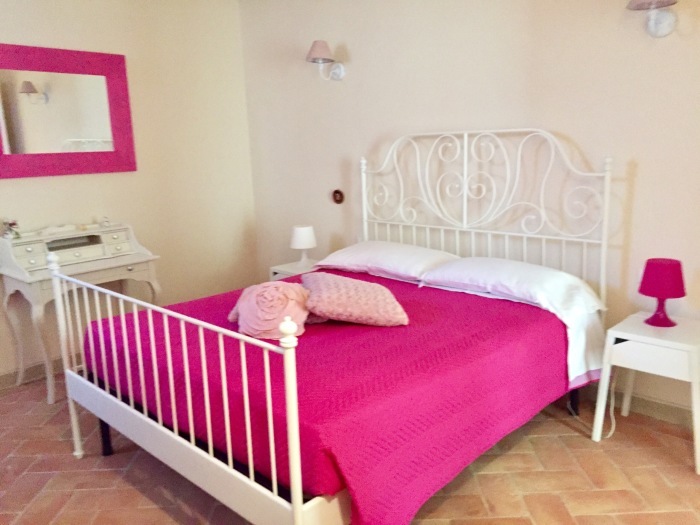 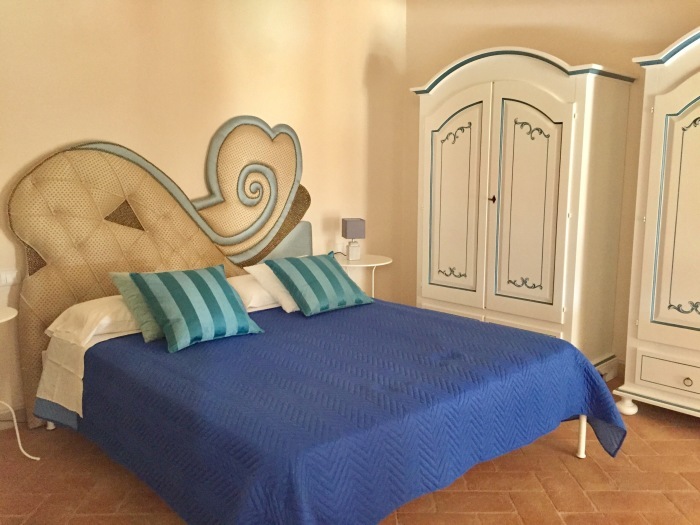 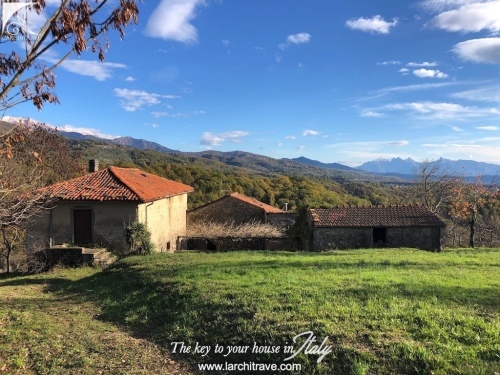 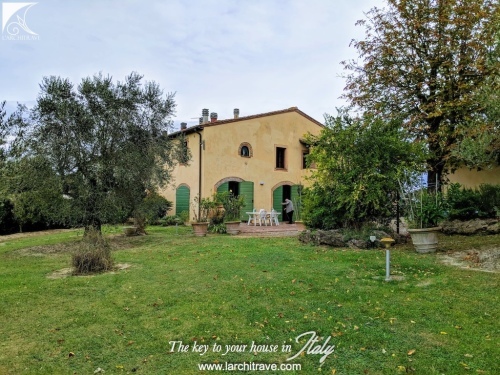 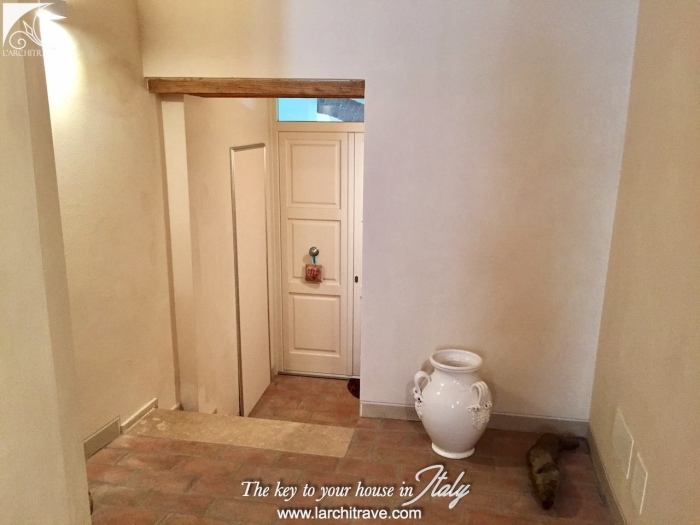 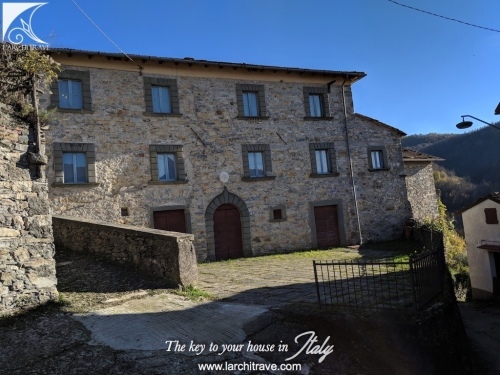 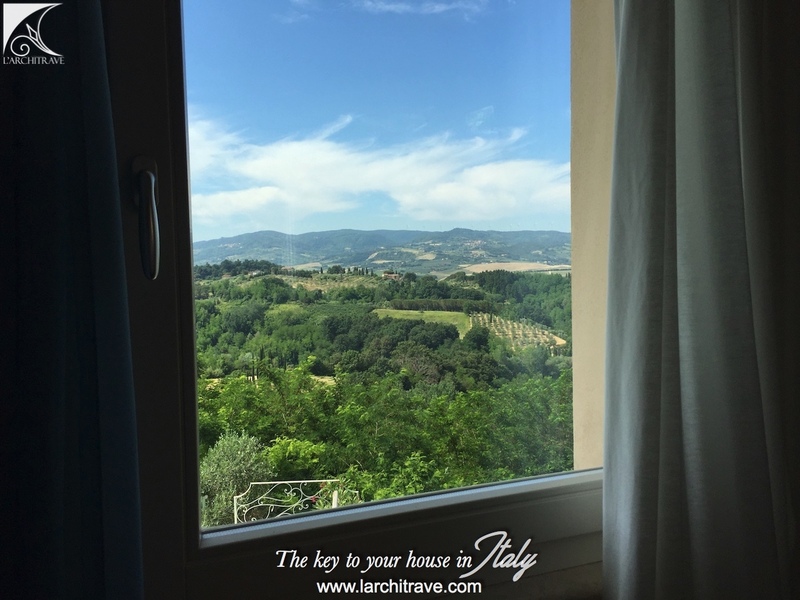 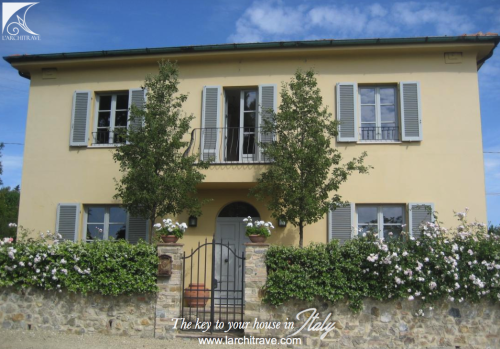 Walking down a tiny village street you stop in front of big wooden door which opens to let you into a charming, warm and bright house with large french windows like a renaissance painting, of the beautiful Tuscan rolling hills. 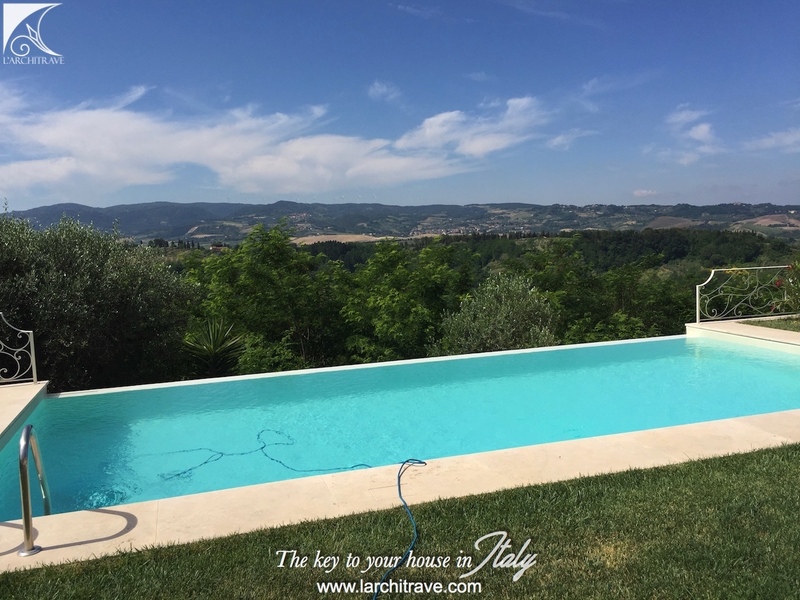 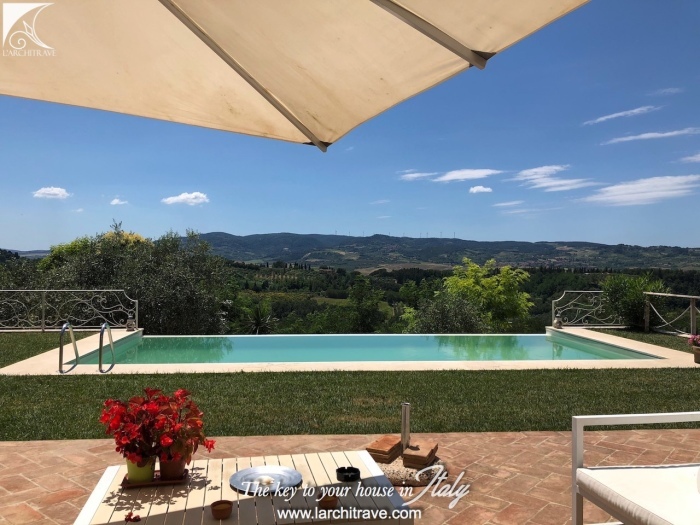 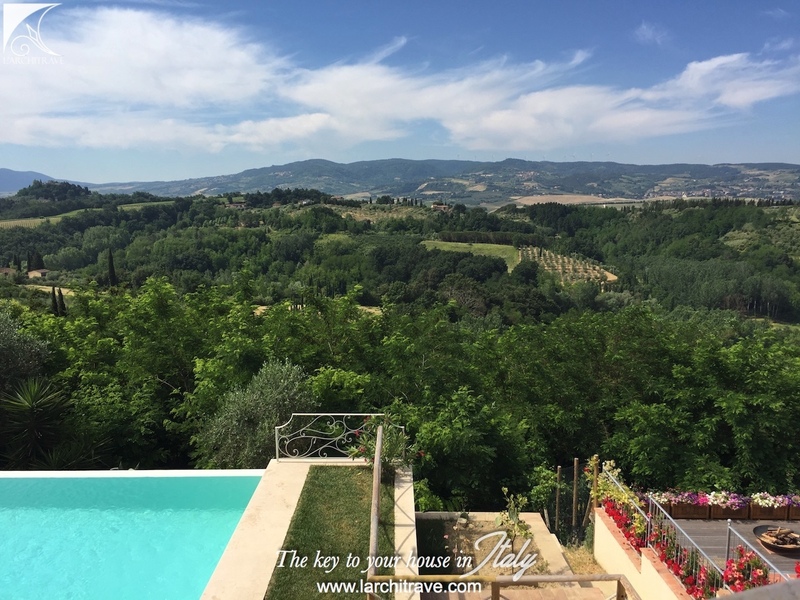 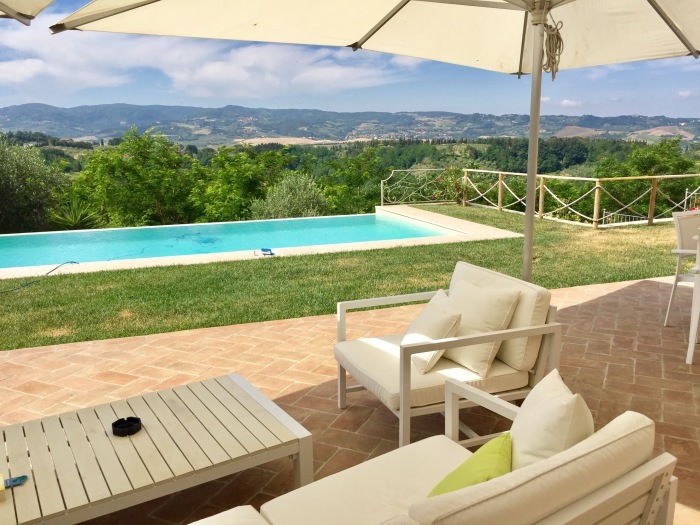 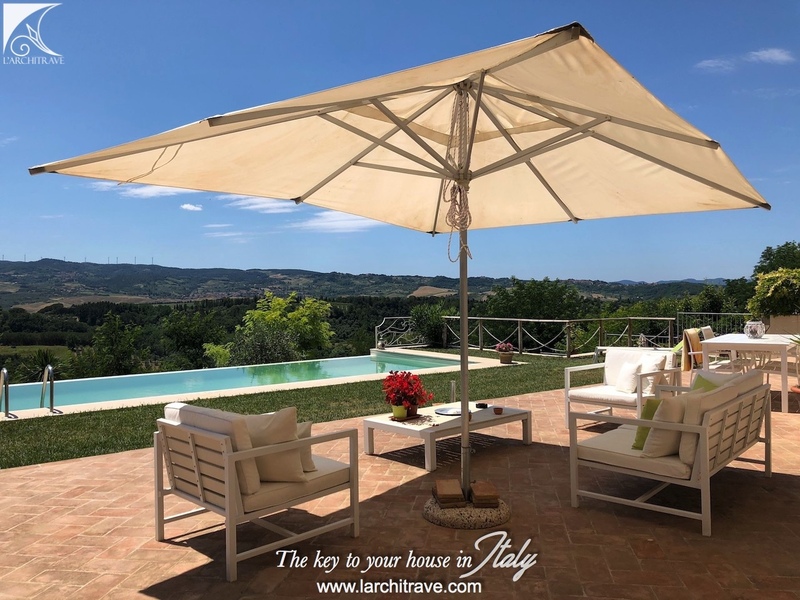 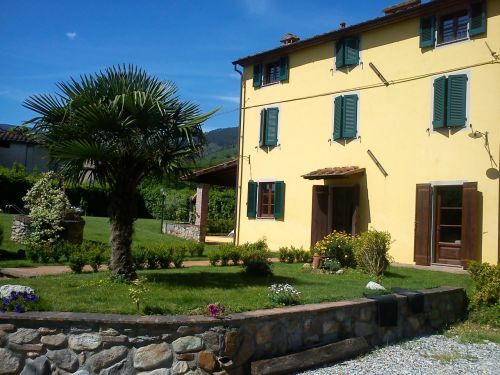 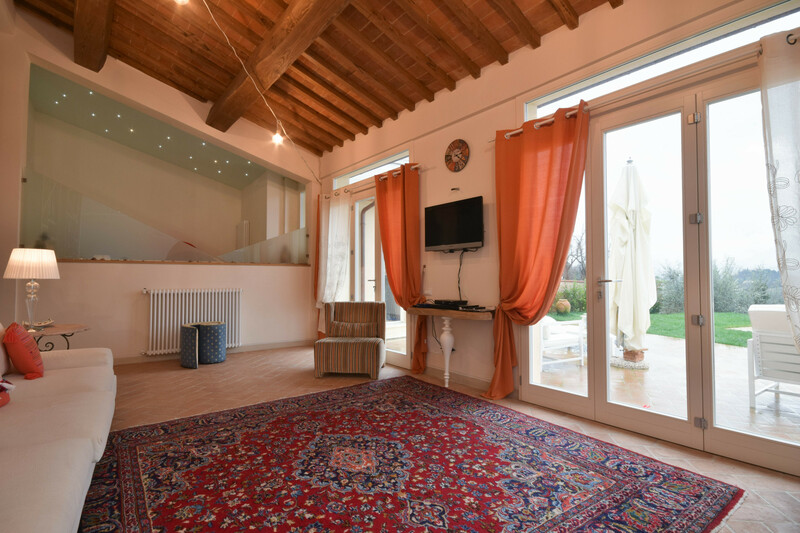 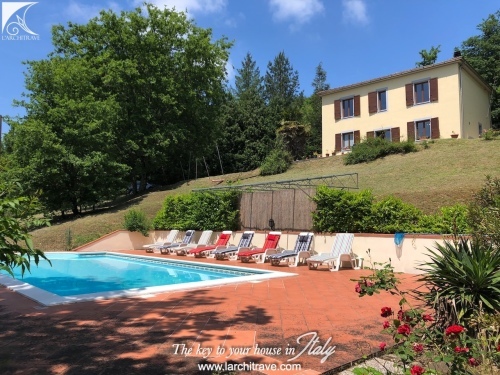 This completely restored elegant townhouse with private infinity pool, is in the heart of a historical village, on the Chianti Wine Road of Terricciola, just 30 minutes' drive from Pisa. 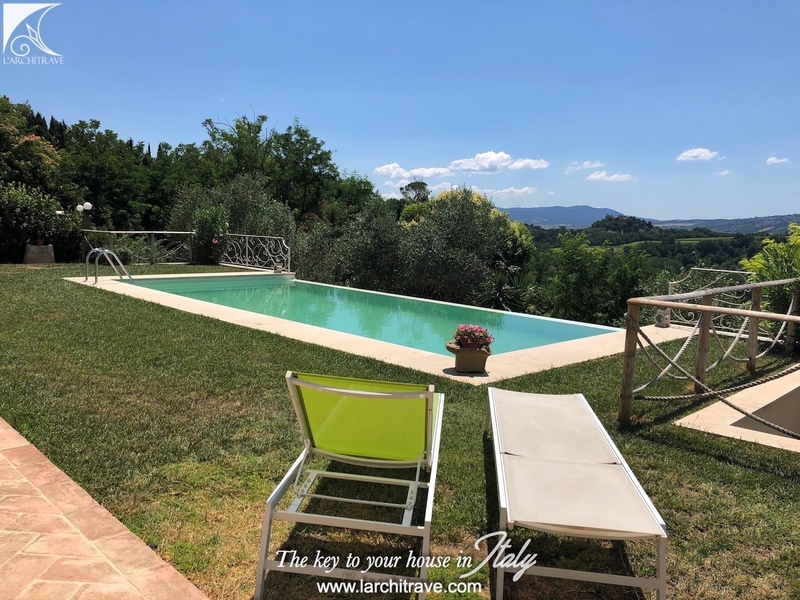 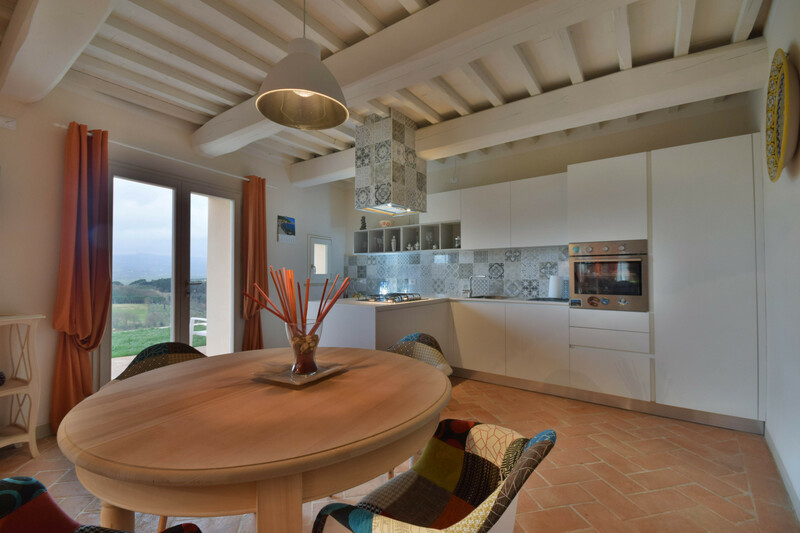 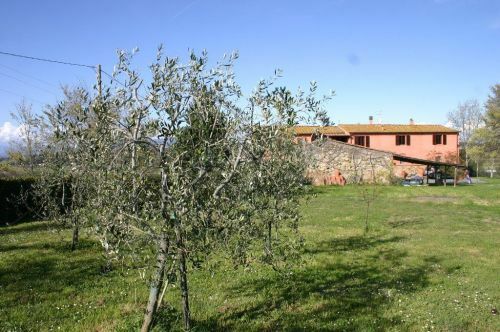 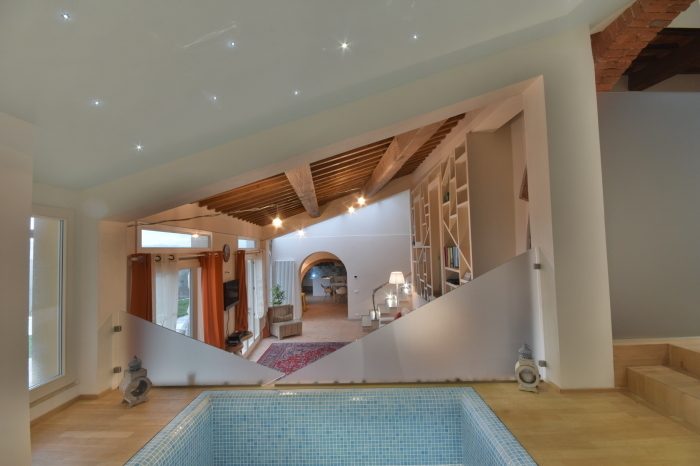 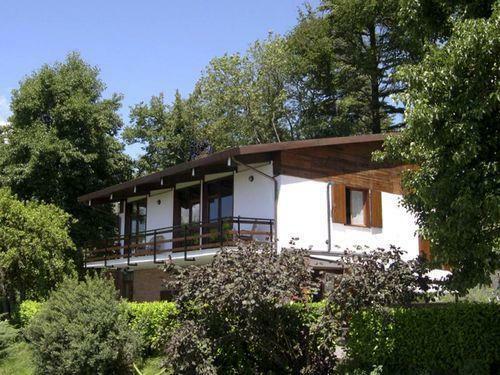 The house is on two floors with a total surface of 240 sqm, comprising on the ground floor an entrance hall, large living room, spacious kitchen opening onto the garden with infinity pool and spectacular views of the valley and the hills and vineyards. 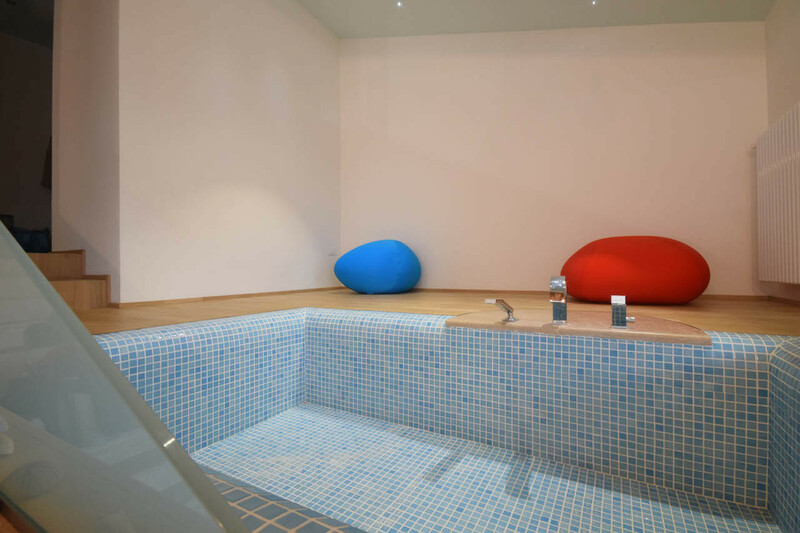 Unusually, you also find a wonderful jacuzzi and relaxation area. 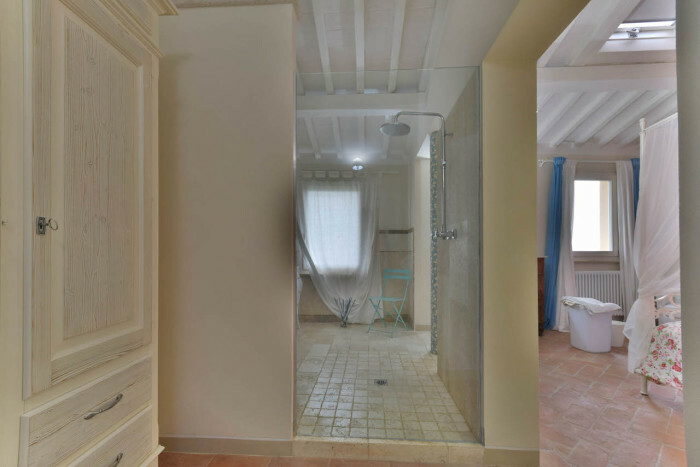 On the first floor there are 3 bedrooms and 3 bathrooms. The main bedroom has a large open shower room. 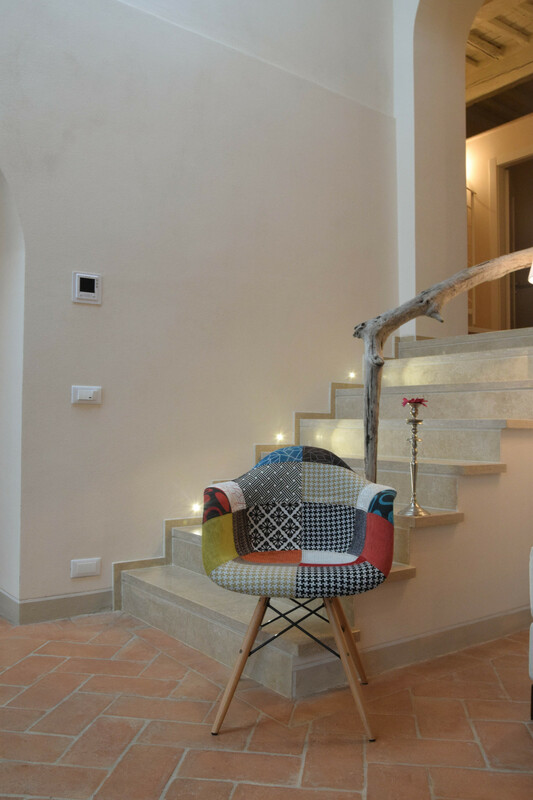 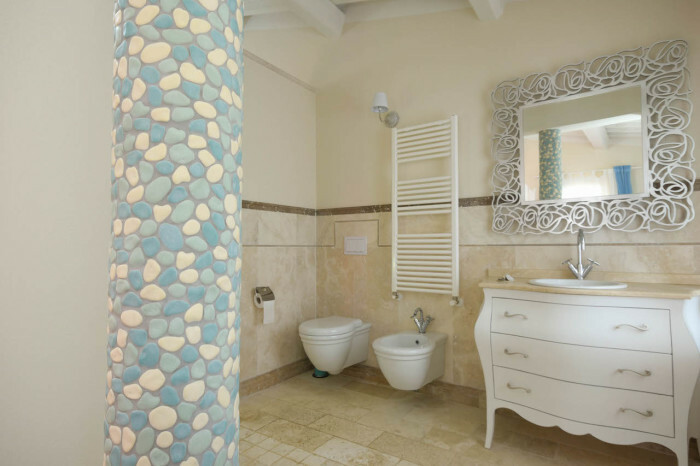 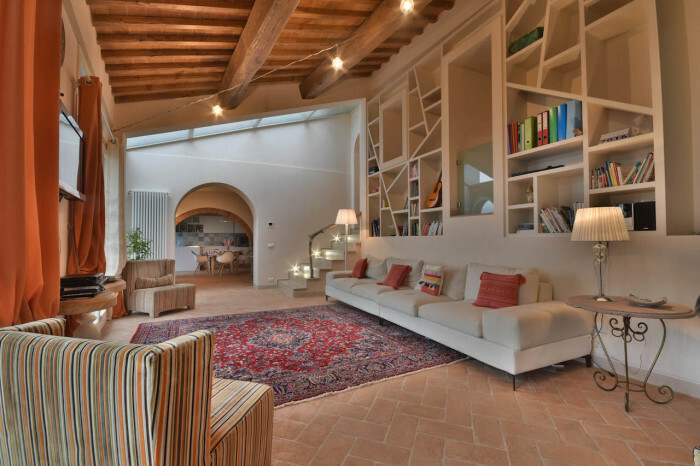 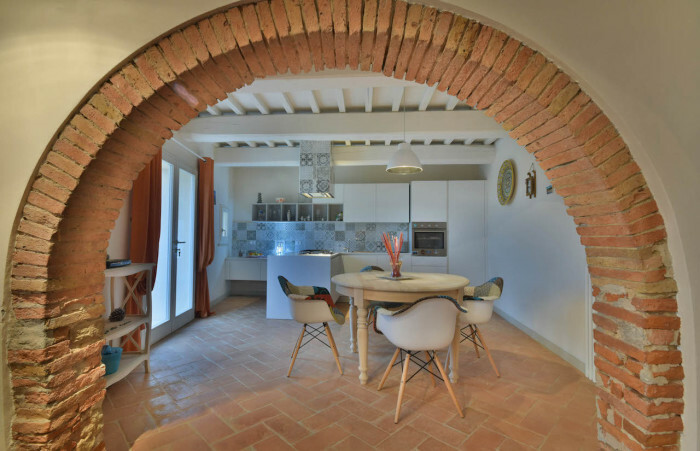 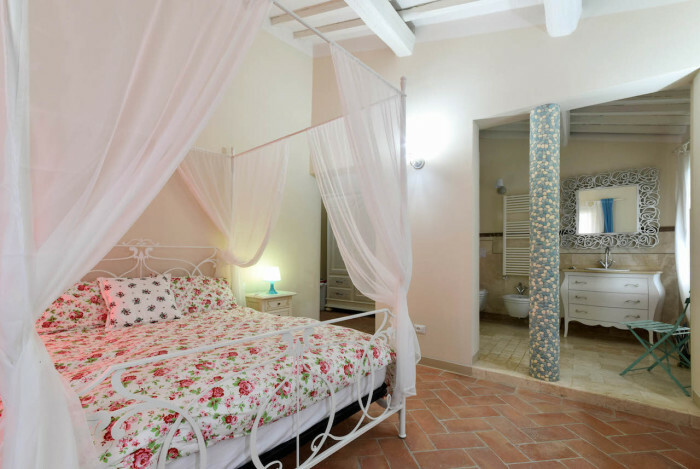 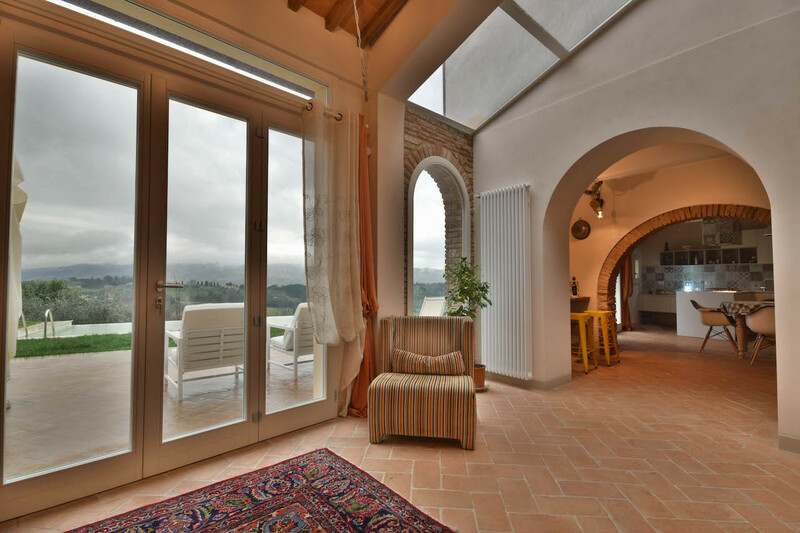 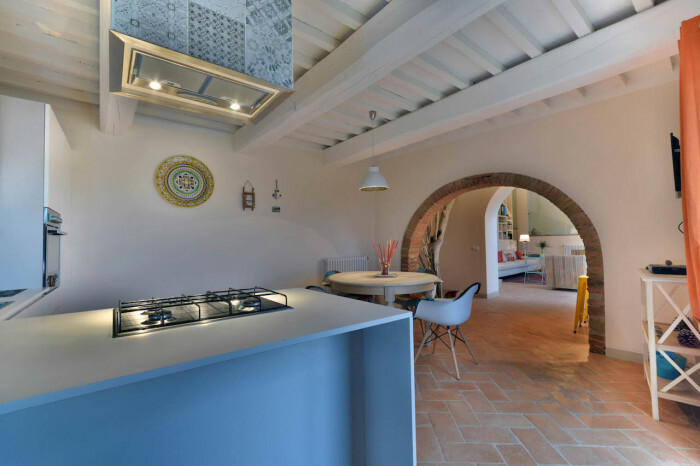 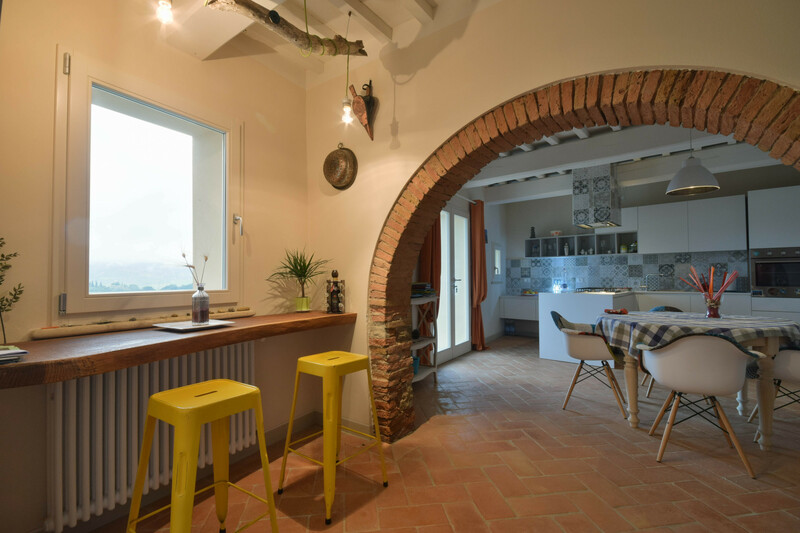 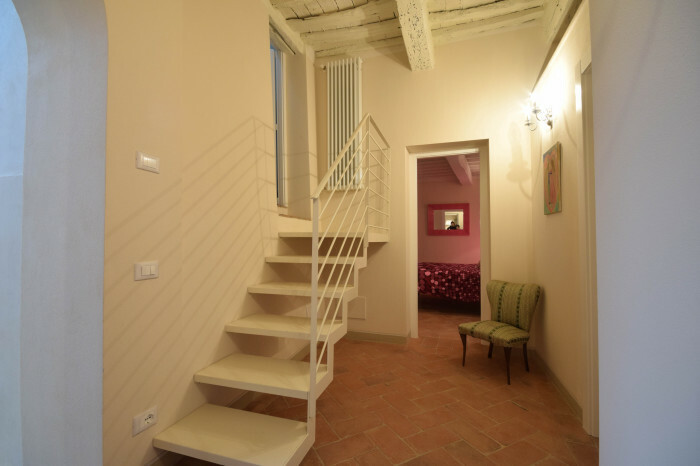 The house has been refurbished maintaining the original style and features: cotto tiles, exposed wooden beams, preserved architectural features like stone walls and arches. 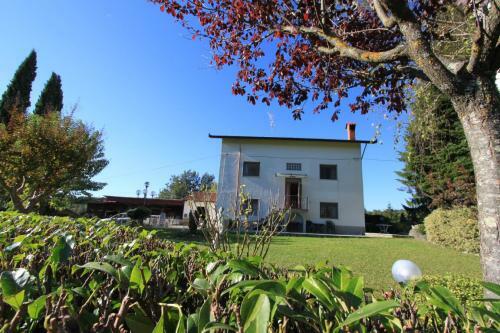 In the centre of a small village with amenities within walking distance. 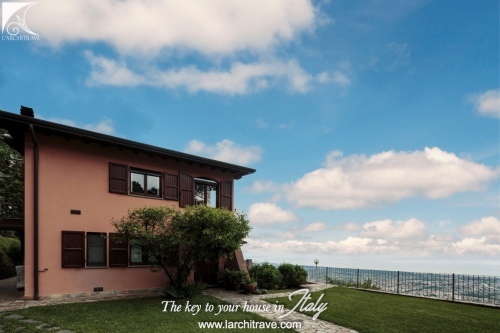 Perfect location with the main seaside resorts within easy reach as are the most important artistic and cultural cities and towns of Tuscany: 5 km from Casciana Terme where the Thermal Spa Centre is open all year long; 8 km from the worldwide popular Teatro del Silenzio where every year the Bocelli international concert attracts visitors and musicians from every country in the world. 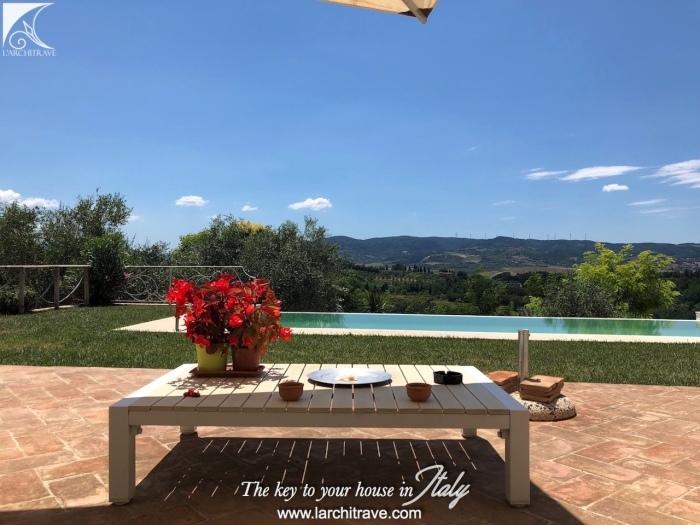 Florence and Siena are located just one hour's drive; Pisa, Lucca, San Gimignano and Volterra only 30 mins away; Pontedera with the train station and its Piaggio museums is at 20 km and the San Rossore Park and Pisa Airport at 40 km.